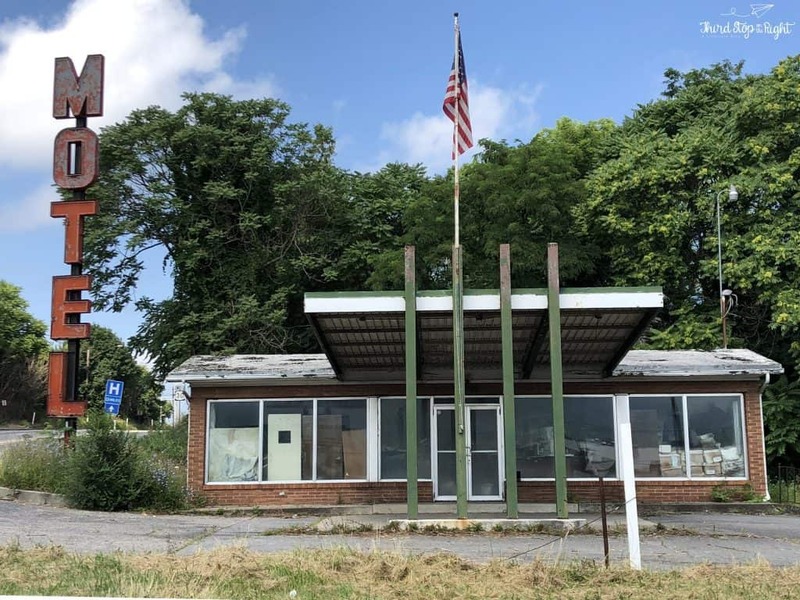 Once called a “City of Motels” many of Breezewood’s hotels have seen better days. 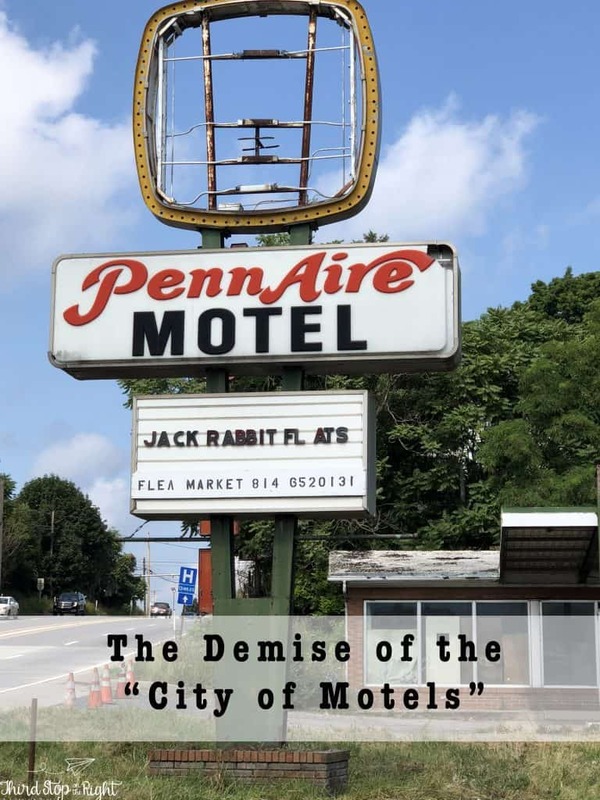 Over the years, the rise of chain hotels impacted the popularity of the independently owned motels, causing many to close. 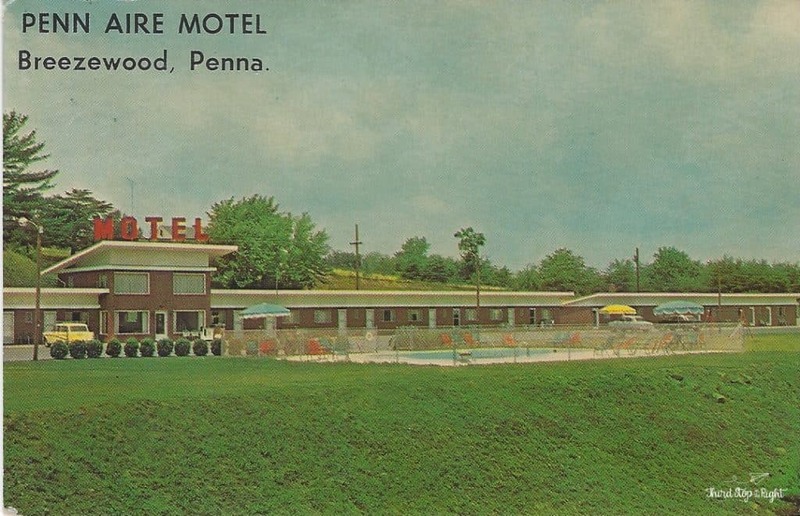 The Penn Aire Motel was one of those that struggled to survive. 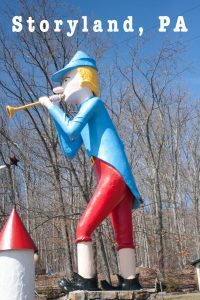 A fixture on the main drag of Breezewood, it tried to keep up until at least 2007, but by 2001 it too had closed its doors for the last time. 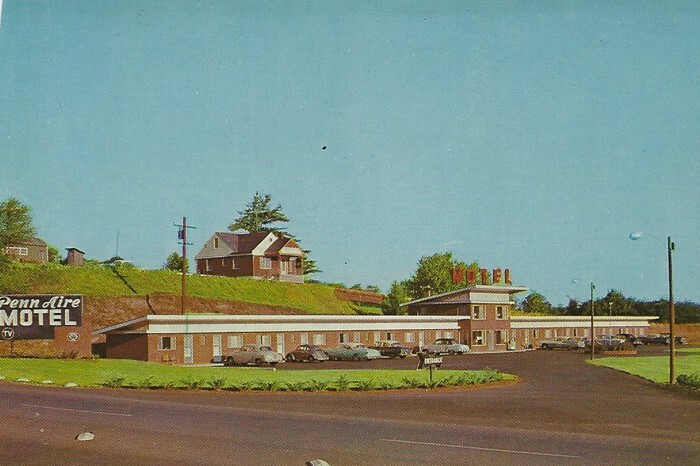 Now, just the shell of a motel remains. 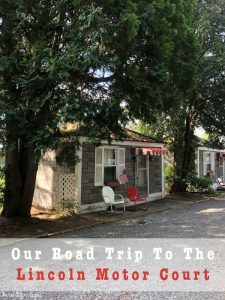 More than seven years since the last guest stayed at the motel, I had the chance to check it out. 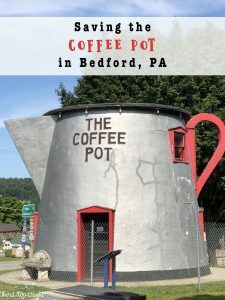 I walked up a little ways from the nearby Sheetz. The parking lot of the nearby Penn Aire was completely still but a sign advertising flea markets was still visible on the marquee. An old, neon MOTEL sign graced the entrance. 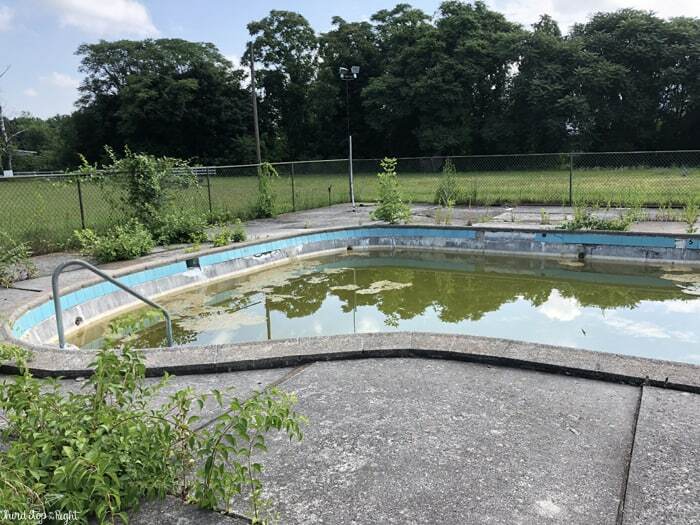 As I walked past the now quiet room doors I happened to notice the abandoned swimming pool in the parking lot. 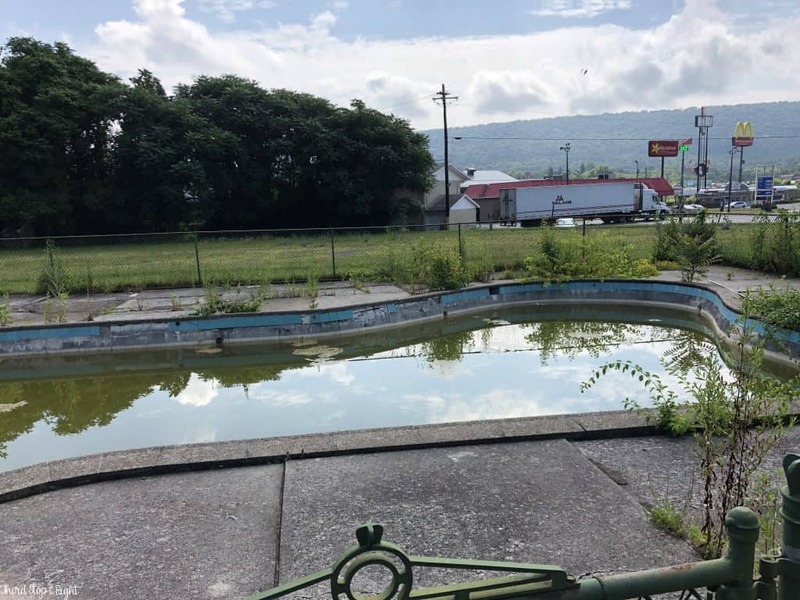 Behind a fence and a wall of weeds you can find what was once definitely the motel’s swimming pool — still partially filled with water. 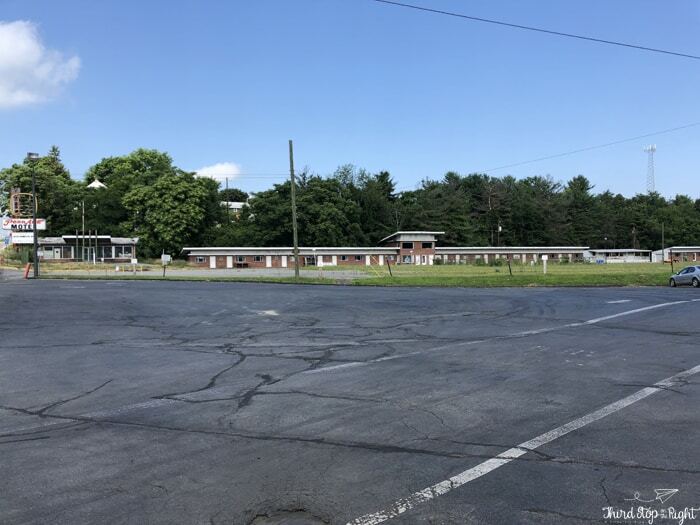 For some reason, this motel really caught my eye so of course I had to check out Ebay to find out what the motel looked like back in its heyday. To my delight, I not only found one card, but several. 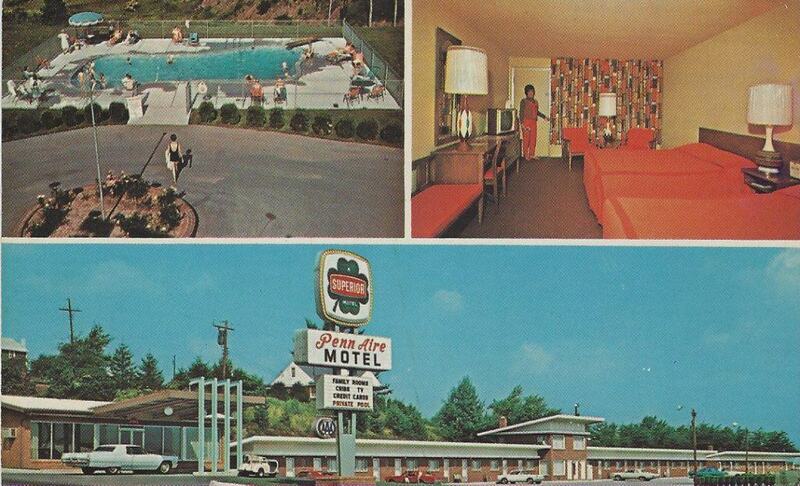 You can definitely tell it’s the same motel. 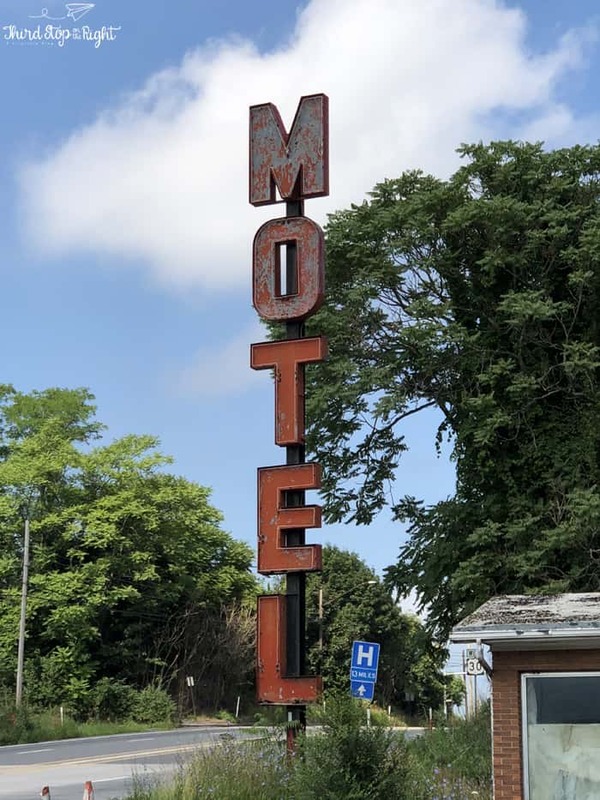 At one point it looked as if the large MOTEL sign was placed on the roof of the motel, but it is now stacked vertically on a sign by the entrance. It appears the pool was a later addition as it wasn’t in some of the cards. Other cards show the pool when it was in operation. 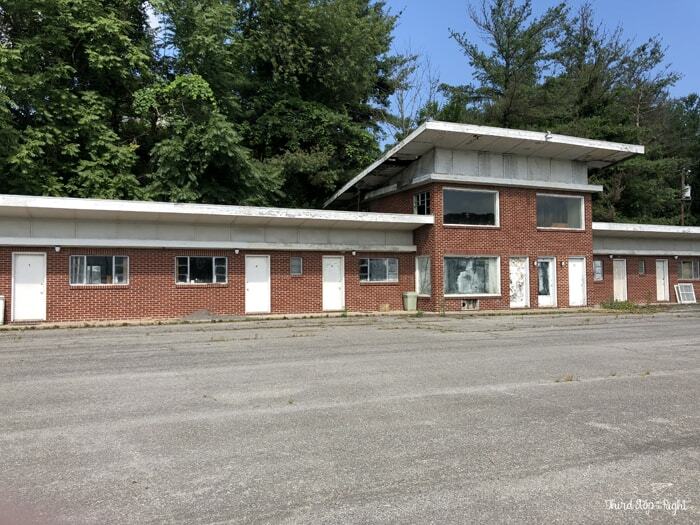 It also looks as if an office was added in an Art Deco style to the left-hand side of the motel in later years (perhaps the 70s or 80s?). 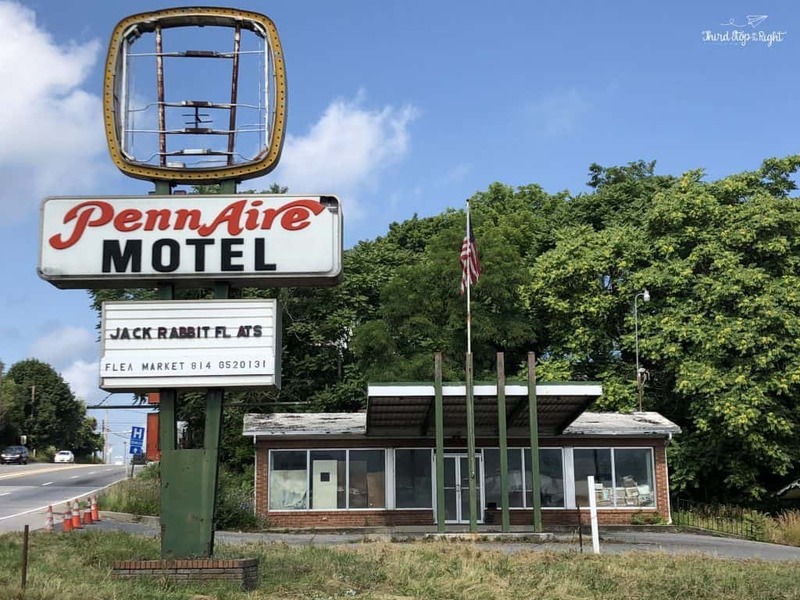 Its sad so many of these motels are falling by the wayside. As the years go by, these motels will continue to close and disappear, which is why I want to capture as many of these while I still can. Want to Read More? Check out these posts!